Fleep is an open platform, so you can communicate with any other Fleep user - whether they belong to your organization or not. 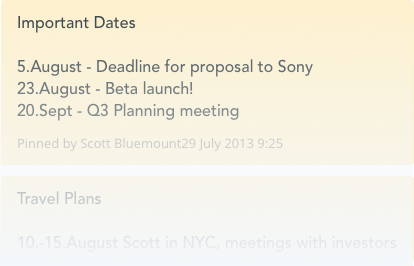 Create, assign, search and track tasks with Fleep’s native task management. Lightweight and contextual. Pin important messages to the side of each conversation so everyone can see and edit them. Meeting notes, important links, contact details etc. 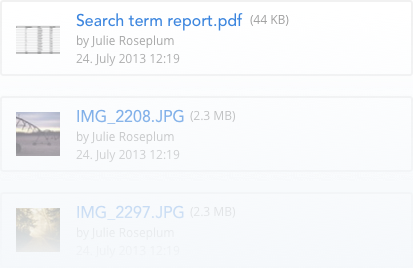 In Fleep, all shared photos and files can be found in the conversation’s file drawer on the side tab, next to each conversation flow. Nowadays being online doesn't always mean that you're available. This is why we have Presence features in Fleep instead of the usual online/offline indicators. Just check someone’s profile to see when they were last active in Fleep. You can also see who has read your messages with our Seen by indicators. Additionally you can see if someone's busy writing a reply, with the Writing indicator. While Fleep’s conversations are text-based, sometimes you need to have a call to discuss things. 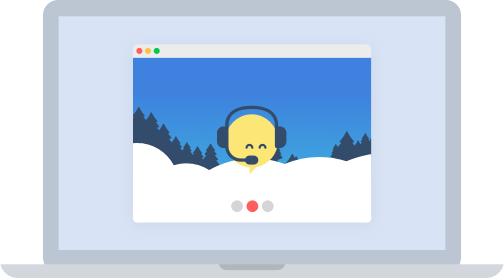 Fleep has an integration with appear.in, making it easy to have an audio or video call. Start the call with the click of a button - and everyone in the conversation can click on the Join link that appears to join the call. We get it, you already have a set of tools in place. 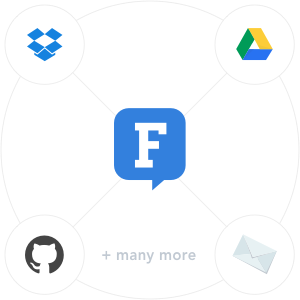 With our integrations you can create easy to follow notification feeds in your Fleep conversations so that you'll have all the important stuff together in one place. For advanced integrations, we have a public API. 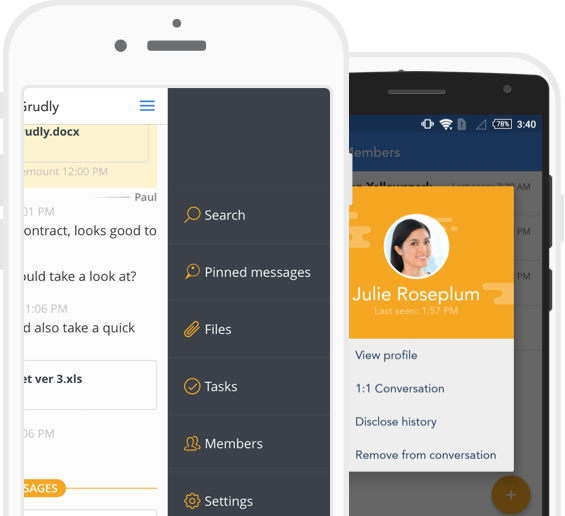 It's a full featured API that allows you to post and read messages, files, create conversations, modify members etc. Fleep API allows you to bring your ideas into reality! Check out the documentation and examples, and let us know if you need any help. Take Fleep with you, everywhere you go. 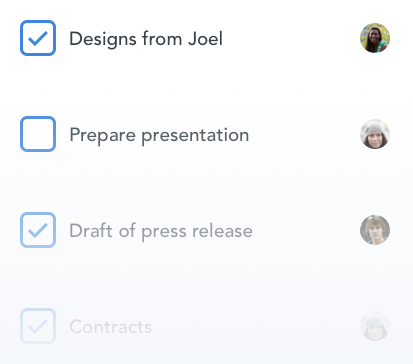 Create Fleep teams and conversations with participants from within and across organizations, for ultimate team project communication. 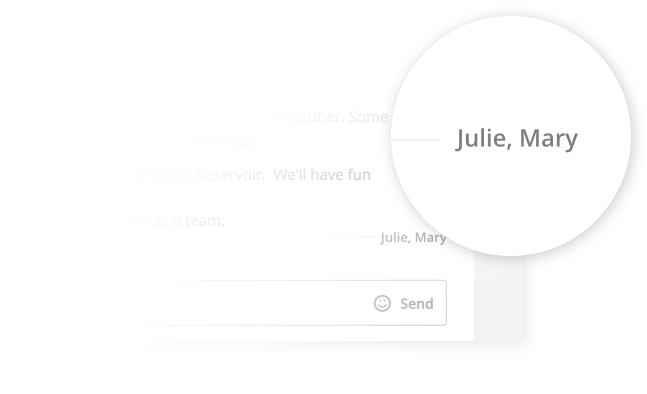 Add anyone to Fleep teams and conversations with their email address. If they're not Fleep users, they'll receive all messages as normal emails.